Enjoy a travel to these beautiful hill stations for a nice vacation in Maharashtra. It will be a nice break from the monotonous life. Khandala, Lonavala, Matheran,Mahabaleshwar, etc. are also some famous hill stations located near to Mumbai. A weekend trip is enough to cover any one of these enthralling places. Let us take a virtual tour around these scenic attractions! In Matheran the only public transports are horse carts or man-pulled rickshaw. This automobile free hill station is beautiful and pollution free. It takes atleast 2 days to cover all the places in Matheran. So, why don't you explore?! Have you heard 'Ati Kya Khandala' Hindi song? The song is very nice and the hill station as well! As the song says, you should also go there and enjoy. Khandala is surely one of the best tourist places. Mahabaleshwar has served as a summer resort from ages. This 'hill of strawberries' is one of the best hill stations for your trip in Maharashtra. Several tourist attractions and the surrounding scenic landscapes is worth a visit. Lavasa is a new hill station and a city on the banks of Dasve lake. The city is a replica of Portofino, an Italian town. Tourists can try adventure sports, nature walks , etc. here. So, don't miss out on this unique place. 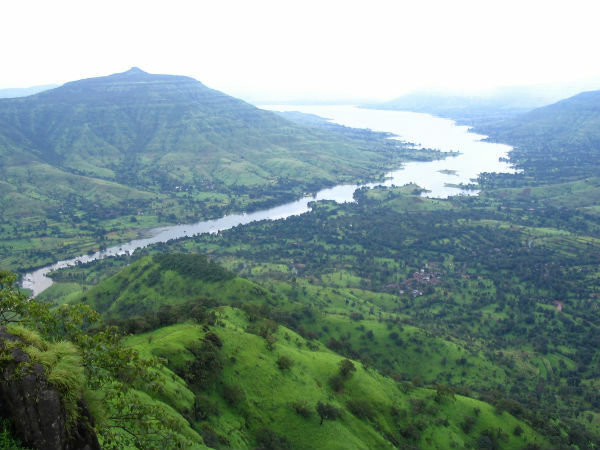 The enthralling vistas of Lonavala attracts people year round. The green cover and amazing view points make it one of the best destinations. Any tourists should visit Lonavala atleast once. According to the mythology, this is place where Bhima of Mahabharatha killed the demon Keechaka. Thus, it got the name Keechakadara. However, the modern adultrated name is Chikaldara. This scenic hill station has several attractions which are worth visiting. Malshej Ghat is a popular mountain pass. Though monsoon is the peak time here, the climate remains pleasant in summer. So, plan a trip to this enthralling place. Bhandardara is a village where Mount Kalsubai is situated. Mount Kalsubai is the highest peak in Maharashtra. Tourists can also visit a number of hilly places around. Bhandardara is also a base for trekking to Ratangad fort. The picturesque Igatpuri has several tourist attractions. It is also famous for Vipassana (meditation) centre. A tour to Igatpuri will be a blend of peace and fun.